A typical prayer goes something like this: "Please help us find the money to pay our mortgage this month." Saying the prayer may help you feel like the burden of that month's mortgage has been lifted, but the part of you that feeds on fear will simply seek out new financial worries to keep you awake at night. Old patterns remain intact. In contrast, asking, "Please heal my fear-based thoughts about our mortgage" lifts the burden AND relieves the need to re-create that fear and hold onto it. This prayer heals your very desire for burdens, your addiction to fear-based thoughts, freeing you to live without that fear and with greater peace of mind. As a result, your financial situation is also free to improve. That's what makes it so different. 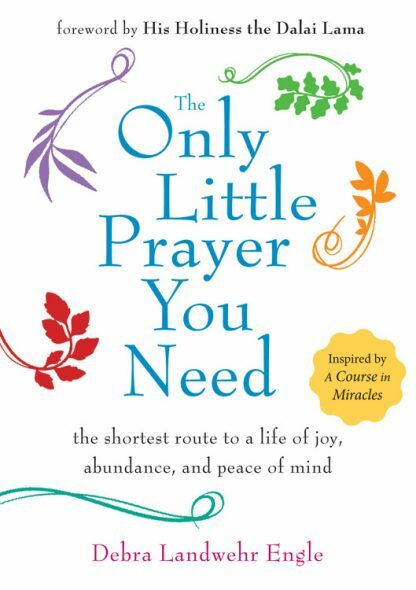 One Facebook fan told Engle, "The most blessed aspect of this prayer is all the open space it creates for peace�I never knew how many fear-based thoughts were clogging up in me until this prayer."